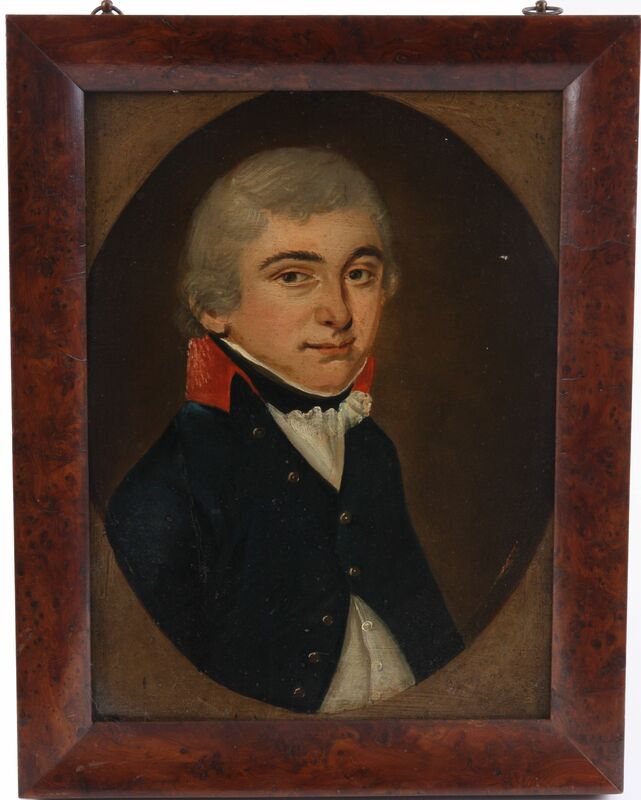 Painted by a journeyman artist, this early nineteenth century half-length portrait shows a midshipman in his blue coat and white waistcoat. 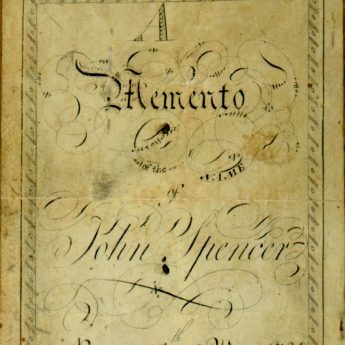 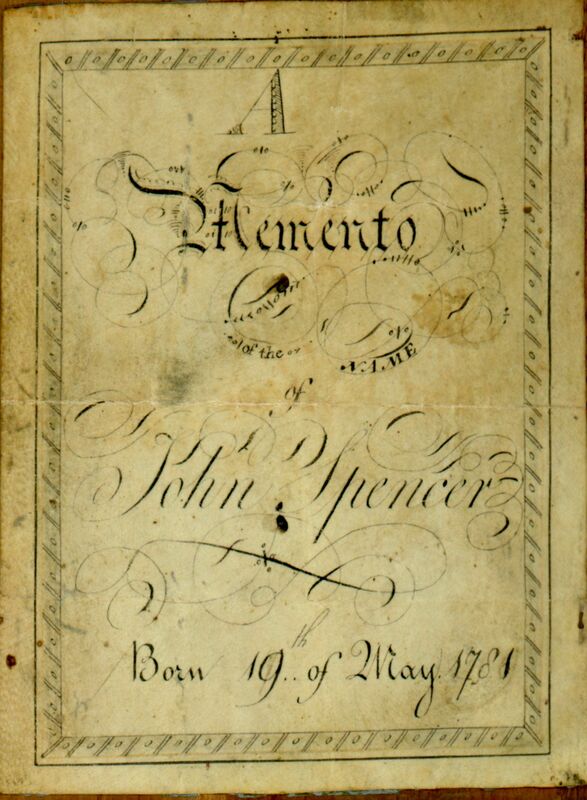 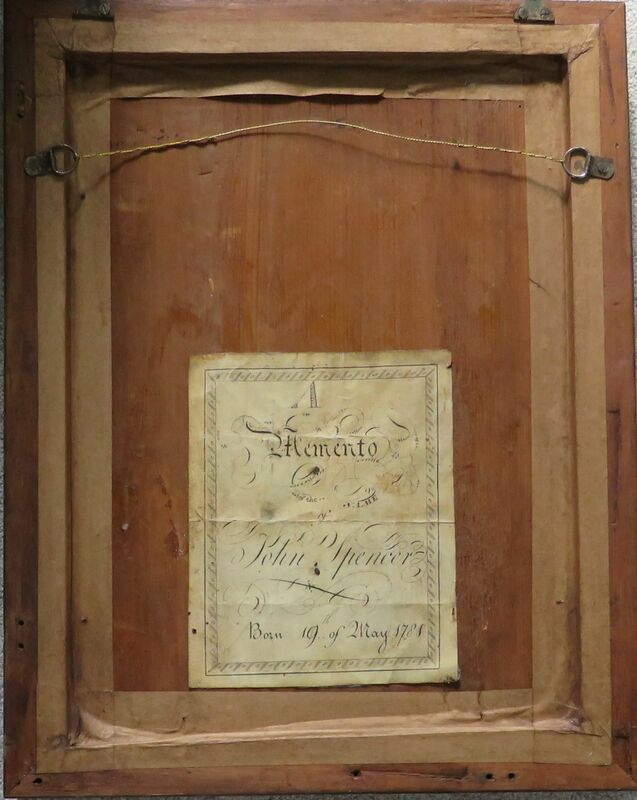 The name of the sitter has been handsomely recorded in fine calligraphy on the reverse of the frame – “A Memento of the Name of John Spencer Born 19 of May 1781”. 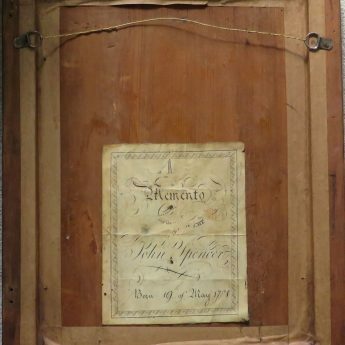 The portrait is painted within an oval on tin and is framed in a handsome burr walnut frame.